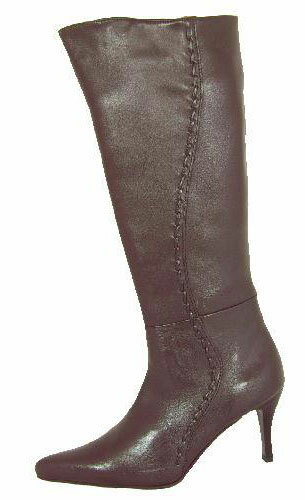 Stunning brown soft leather knee high boots with leather stitch detailing down the leg. The ladies boots have a pointed toe and stiletto style heel. The women's boota have a leg height 14”, heel height 3½”.